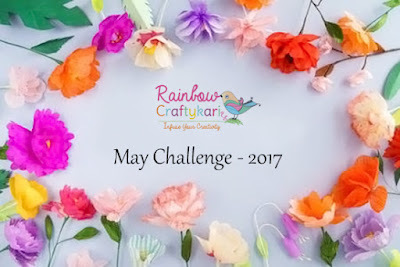 Pavitra here and it’s time for another challenge at our blog Rainbow Craftykari. 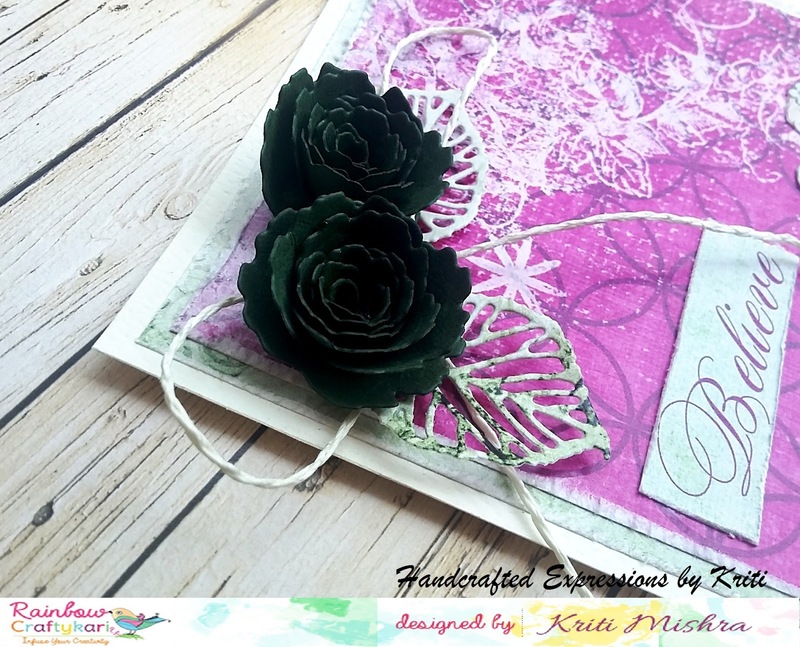 Who doesn’t love flowers, every feeling of ours are well defined by flowers, personally I myself love to see blooms on my projects, cards frames and so on, so for this month The Blooms Magic challenge is to create projects with handmade paper flowers. Isn't it really exciting!! 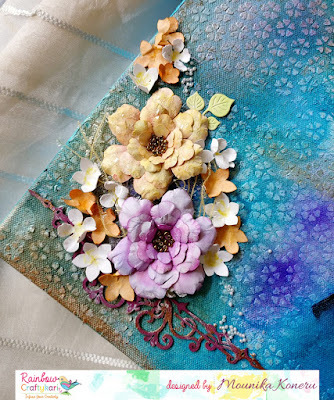 Create any project using any technique with handmade paper flowers. 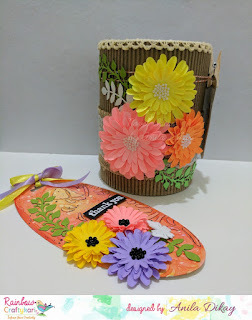 It can be made of any type of paper like filter paper, Iris cardstock, quilling paper or any Cardstock/Paper But not of ribbon, fabric or foam. 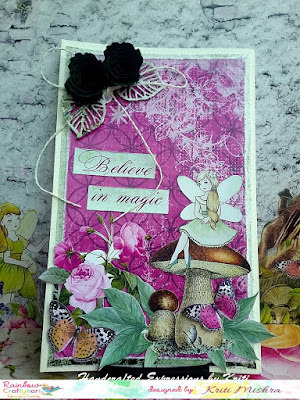 Flowers made with the Stamped images WON'T be counted. Your Project will be counted as Invalid. 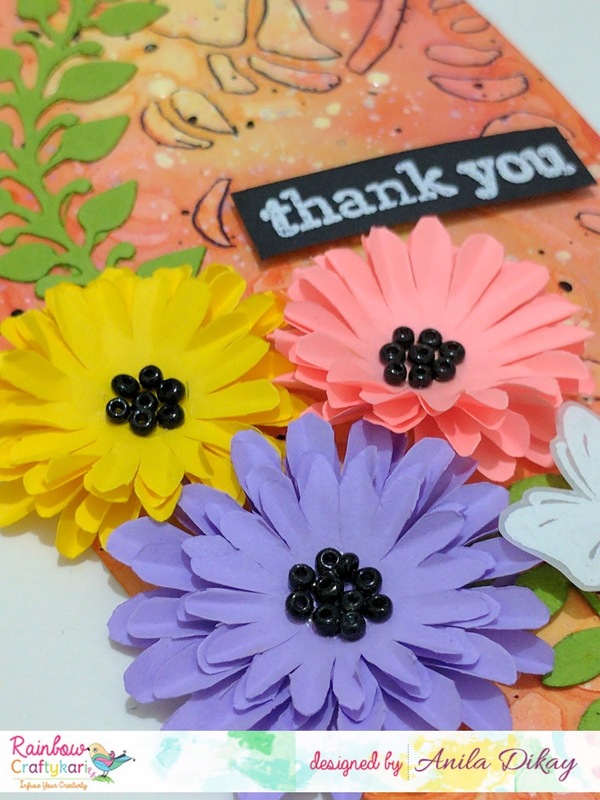 It can be die-cut, Punch cutouts, or Hand-cut. The use of flowers SHOULD be CLEARLY VISIBLE. Your project should be absolutely NEW. Any Old Projects won't be acceptable. Please go through General Guidelines and Rules HERE. Any entry which won't be following the guidelines, will be disqualified and will be removed by the participation entries. One Winner will be be selected by the DT and He/She stand a chance to win Gift Voucher worth Rs 500/- from Rainbow Craftykari Store. 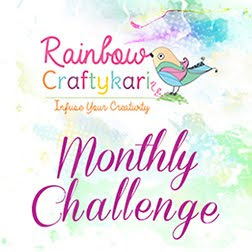 Top 3 entries will win Rainbow Craftykari badges to put on their blog. Every Participant will get Participation Badge to Flaunt on their blog. *Above given guidelines are mandatory to qualify in the challenge. If any participant fails to follow the guidelines, they will be disqualify from the challenge. Here is my project to inspire you all. It’s a money envelope adored with beautiful flowers. The envelope is made of colored cardstock. 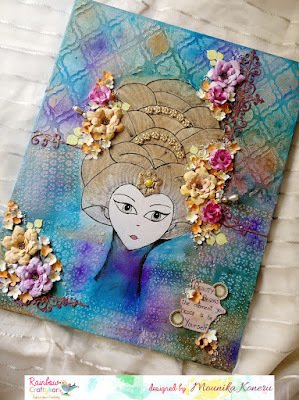 The base is made of iris sheet 270 GSM , I first colored it with distress inks and then stamped with various shades of archival and colorbox chalk inks. The flowers are first die cut with iris sheet 150gsm, inked and then shaped accordingly. Finally I placed all the other elements together and finish off the flowers with glass glitter for the sparkling effect. Rainbow Craftykari, founded in 2012, is one of the leading online retailers of scrapbooking, crafting and card making supplies in India. Our aim is to provide high quality products at the best prices, optimal customer service and quick order processing. We introduce new kind of products every week. Rainbow Craftykari Store. Images The Cutest Blog. Powered by Blogger.